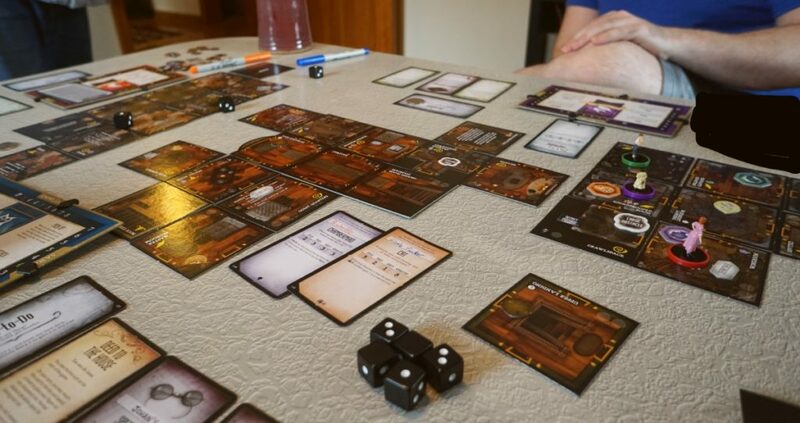 Pip: I’m currently playing single-player Zooloretto. 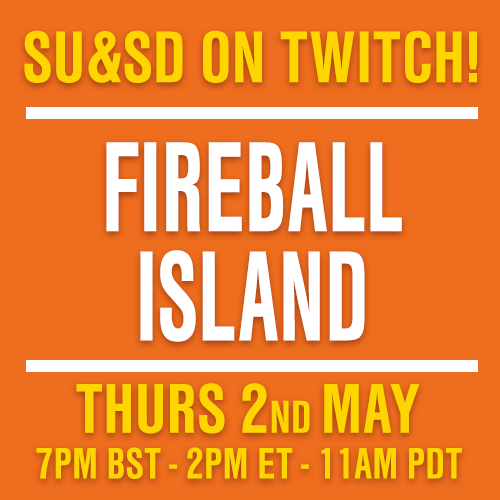 It doesn’t have a single player mode so I’ll explain that in a moment. In the meantime, what on earth is Zooloretto? Zooloretto is a game about running a zoo. The aim is to collect animals, pack enclosures with them and augment these with kiosks, all of which give you points. 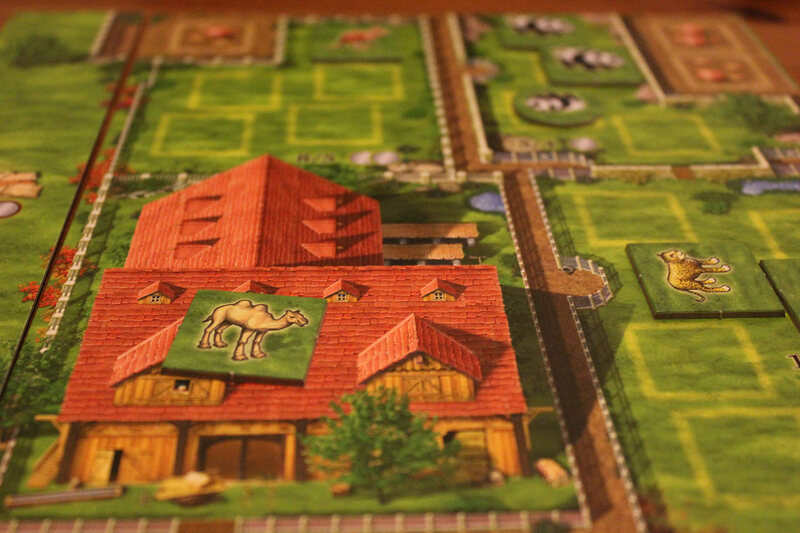 Your zoo starts as a board with one barn and three enclosures, each of which has a different number of squares corresponding to how many camels or kangaroos they can hold (before the creatures presumably starve, turn on one another or climb atop their friends to escape). There are also spaces overlooking the enclosures where you can put the kiosks that, in a real zoo, would be dispensing stuffed toys, souvenir keyrings and emergency ponchos to stressed parents. There is also the Animal Bag. It’s a bag full of tiles with animals on them, as well as those kiosks and a few money tiles. 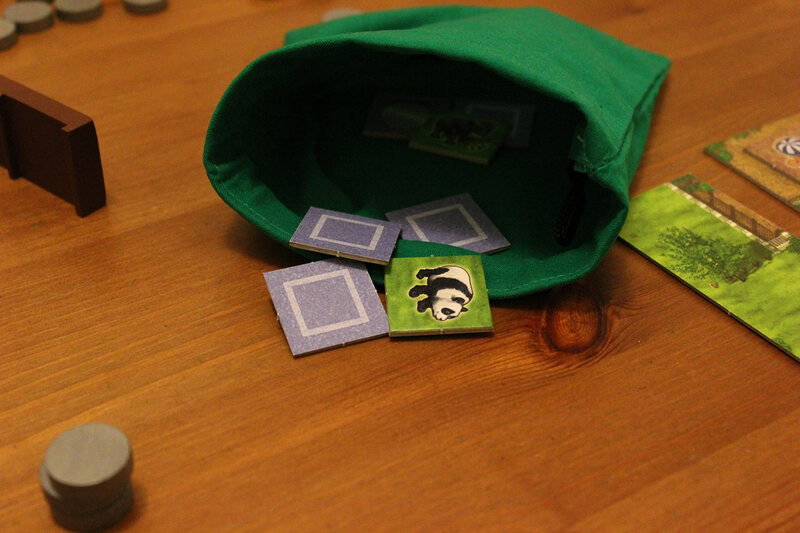 To play, you take turns drawing tiles out of the Animal Bag and placing them on lorries, each of which has three spaces. On any turn, instead of taking a tile you can hijack one of these lorries, full or not, and drive it to your zoo, prodding your animals into enclosures (only tiles of the same species can be in the same enclosure) and erecting kiosks on kiosk spaces. Anything which doesn’t fit or you haven’t decided what to do with is consigned to the barn. The barn is a sad place full of confused animals and dusty carts. 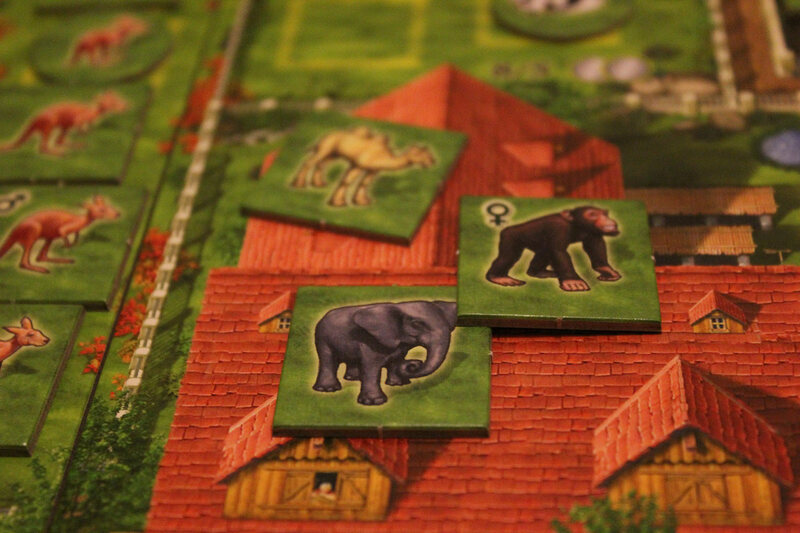 The strategising comes in where you place the tiles, both at the lorry stage and once you reach your zoo. I knew Quinns was desperate for flamingos so I kept using coins and camels to clog the remaining two spaces on any flamingo trucks to make them less enticing for him. 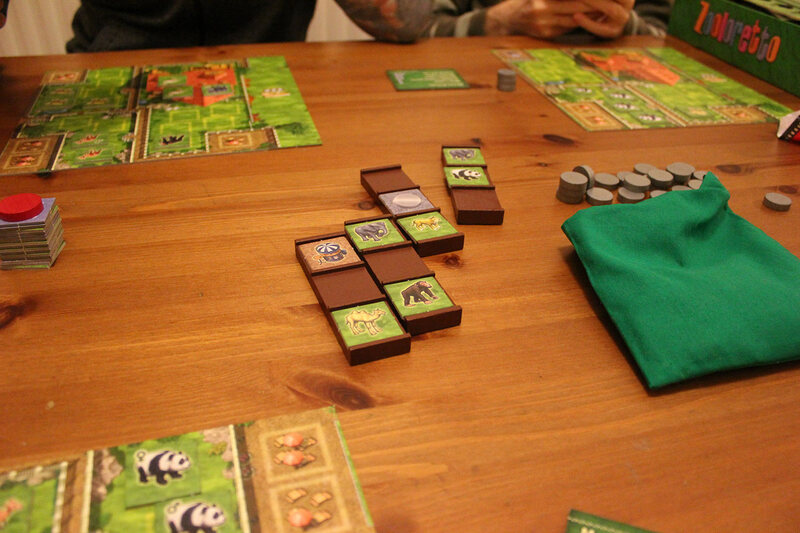 Breeding pairs are also available and if you manage to collect one you’ll get a little animal tile free, which pops into existence as if by magic (and which is why I was incredibly cheesed off to see a male panda heading over to Paul’s dreadful establishment rather than mine). You can also buy animals from the sad holes that are other people’s barns, so you’d best make sure you keep your prized species safe before kangaroo kidnap happens. Manage to fill an enclosure and you’ll get coins which are used to perform special actions or expand your zoo, so strategically it makes most sense to fill a small enclosure then use one of your actions (and a coin) to move that species into a larger pen, then you collect more to fill that one up. Rinse and repeat. 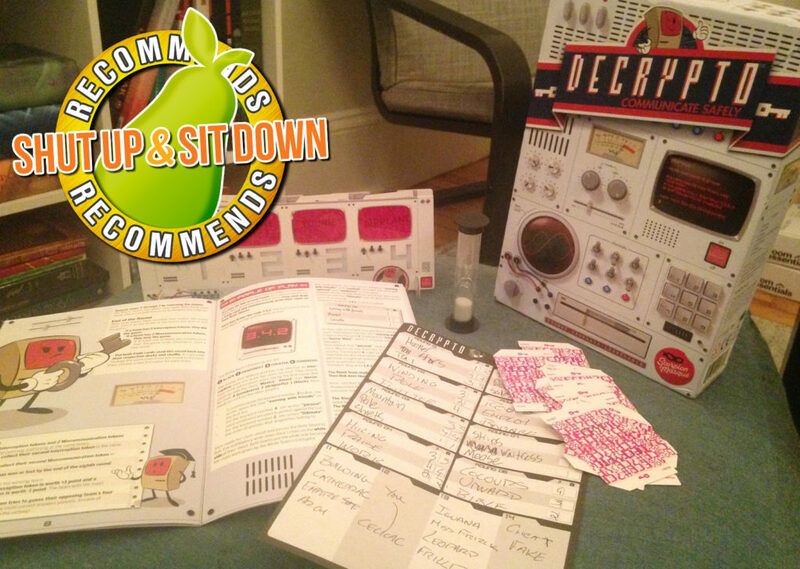 At the end you score your enclosures earning maximum points if they’re full and fewer if there’s an empty space. Kiosks can be used to scoop extra points up as they let you score points for adjoining enclosures with two or more empty spaces as well as being worth points themselves. What’s not so hot is the barn. The sad, sad animals in the sad barn lose you points – two per species. Kiosks left in the sad barn also take away from your final score, since they’ve probably been peed on by a lonely and frustrated elephant. 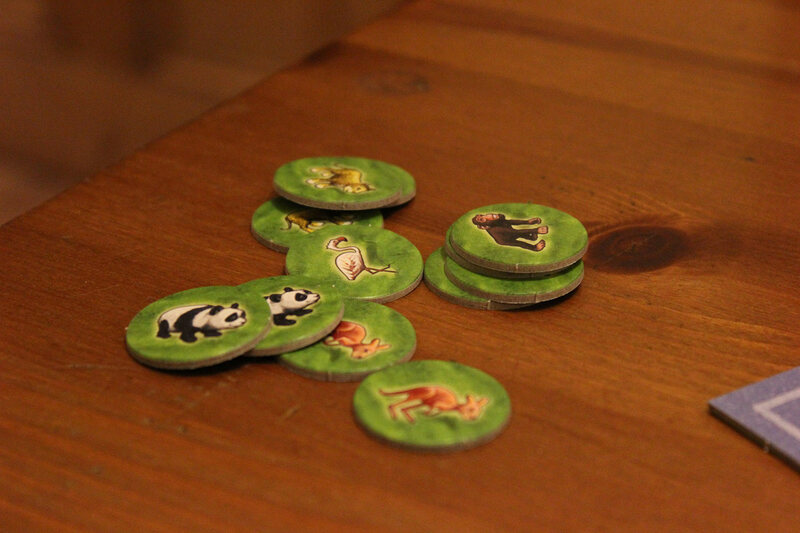 All these animal tiles lend themselves to little stories which play out across the table. My lions clustered up against the fence leering and peering at the delicious pandas, while Paul’s own pandas shrugged off the general panda species desire for extinction long enough to boff out a kiddy panda and bring his enclosure to maximum panda. 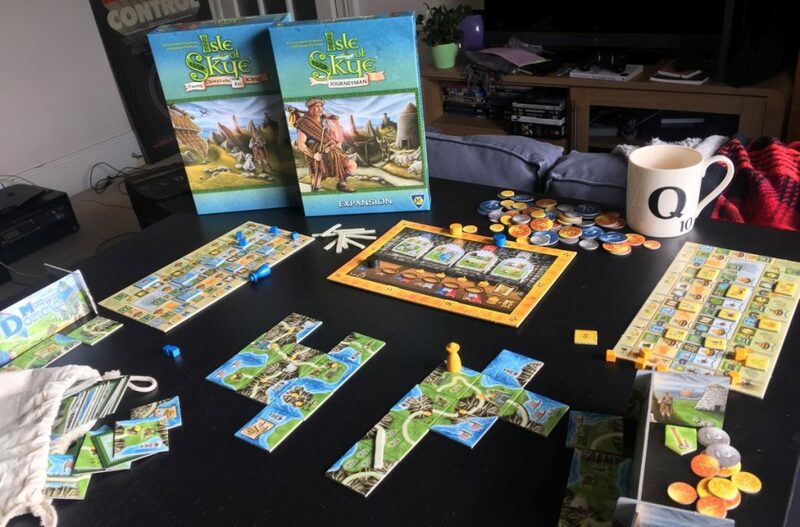 As you might have guessed, though, it’s a game where the final few turns involve a lot of thinking through your options, then quickly shunting animals from enclosure to enclosure in order to try and claw back a win. That’s when Brendan narrowed his eyes. He doesn’t like that kind of game ending. He was probably also annoyed about having a rubbish zoo. As for me, I was peculiarly stressed and I think it’s because I started to worry that the animals weren’t having a good time. Yes, I know they’re cardboard. Yes, I know I don’t run a real zoo. But the general ambiance was affected by the size of the little zoo in front of me. The enclosures seemed overcrowded when they were full. I couldn’t move the animals about and make them do interesting things while waiting for my turn. The rest were either crammed together in the dark Animal Bag or on a lorry or in the sad barn. 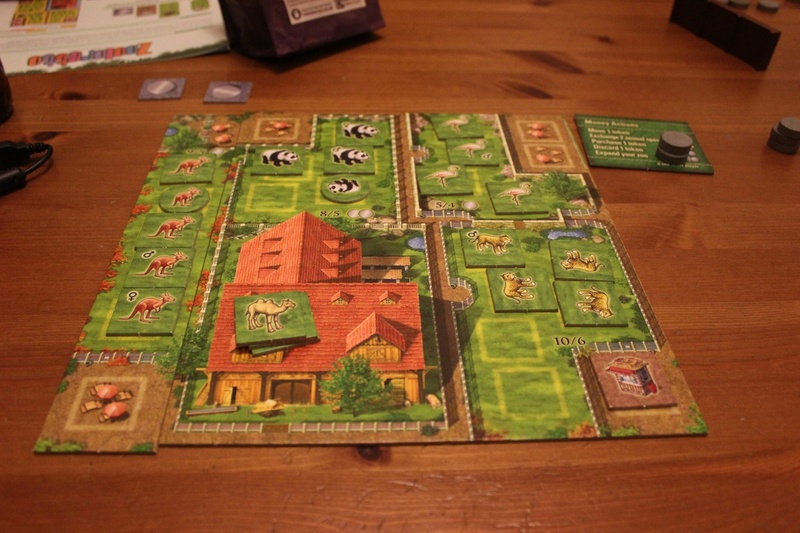 So when I say I played Zooloretto single-player what I mean is that I took all the animals out of the bag, chained all the zoo boards together and tried to arrange the tiles so everything had space and could move about. There were no lorries and it ended up as more of a safari park than a zoo, strictly speaking. I only stopped when I realised that I had ended up online trying to work out how to arrange my lions so the second male lion didn’t eat any of his rival’s cubs and that perhaps it had all gone a bit far.